Discussion in 'Mapping Questions & Discussion' started by Jethro, May 3, 2013. This is not really gameserver admin related, but several people on this list were asking, so I am posting here. That bug has the instructions for how to install the tools, and comments about what may or may not work. (There are probably also some problems getting hammer to figure out where the .FGD files are.) That bug will also serve as the location where you can give feedback. Similar instructions apply for the other games. There's no front end launcher for the tools, but you can just launch bin\hammer.exe. Bummer, I don't see the sdktools_beta as a branch option when I click the beta tab. Is this only available for certain people? 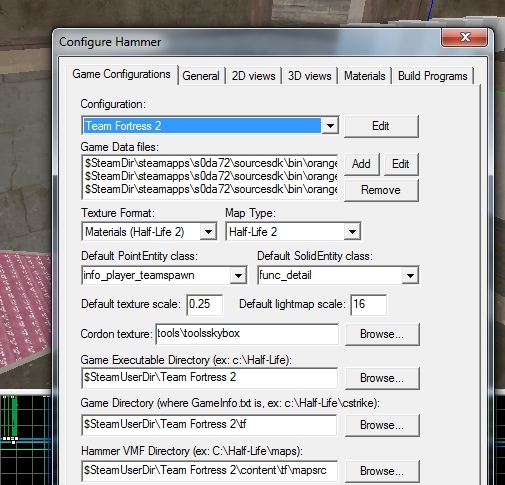 Models appear to show up now in hammer..
And I dont have the sdk beta choice, i only see steam beta, do I pick that one first, then the sdk beta shows up??? The build tools (vbsp, vvis, vrad) are working fine (for me) as well. Ok, I figured out the enviroment variable, but still don't have the option to opt into the sdktools beta. follow what vaconcovat mentions above and you should see the following. 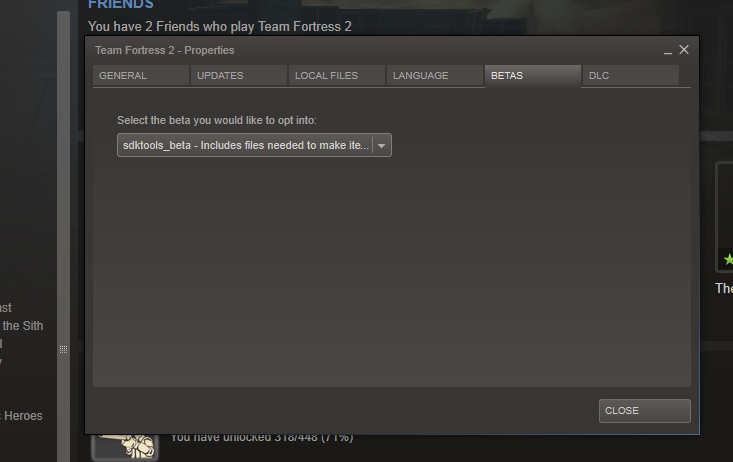 They are located in steamapps\username\sourcesdk\bin\orangebox\tf. 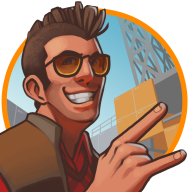 EDIT: Of course all prefabs will need to be moved to their new location as well. I really wouldn't recommend this to map normally as we used to since it's a little bit buggy. 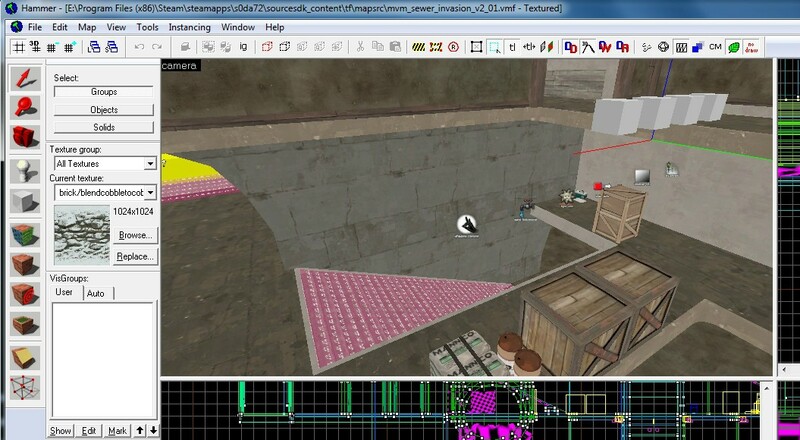 The build tools (vbsp, vvis, vrad) are working fine as well. Vrad and Vbsp doesn't work for me, when doing two same compiles of a same vmf. 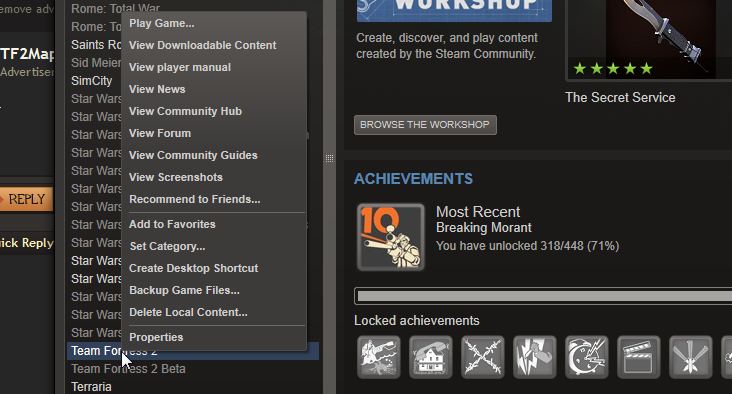 The steampipe version gave me more "zero child patch" (resulting in fully black map) than the normal version. So, I would considering to use Batch Compiler now. Is this the same Hammer as before with just some quick patches getting it to work again, basically? That runs the same tools, it isn't actually a different compiler. Yes, it is. 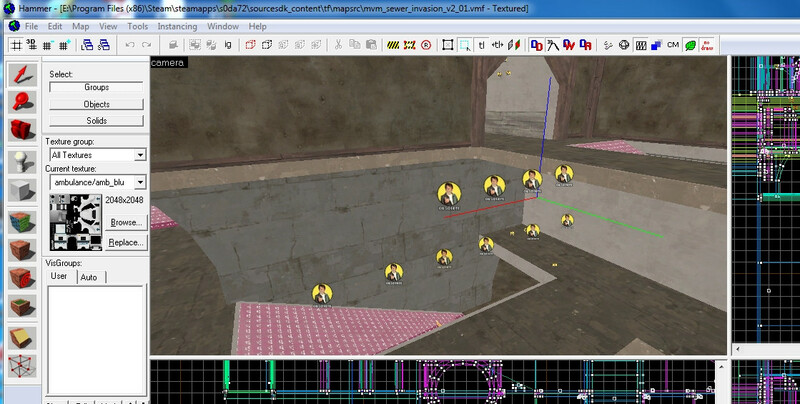 And it also introduces some new bugs, like the checker pattern on models in the 2d views. 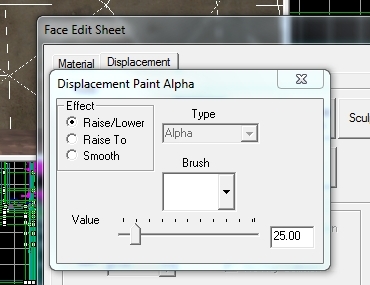 I don't know if this is a bug or a configuration issue..
but the brushes don't show up when you try to paint alpha on displacements. Thanks,.............. i found it and installed the beta, and my editor still crashes when i click "new"